The dining hall after the 1942 bombing. This block was originally built as a brewhouse in the 12th century. After the Reformation, it was for many years the house for the Canon of the IVth Stall. In the nineteenth century it was split into two houses for minor canons. Soon after the arrival of Canon Shirley in 1935, the School took over the building and its gardens. The dining hall, designed by Seeley & Paget, was opened by the Duke of Kent in May 1938 at the same time as the Field Classrooms. 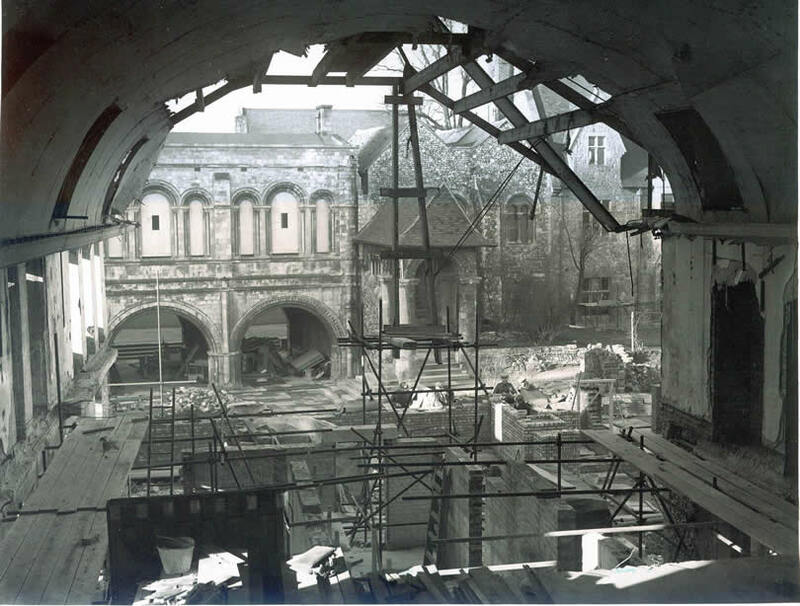 Four years later, the building was partly destroyed in the bombing of Canterbury. It was restored after the war. An annexe was later added.